We love to camp and try to come up with great flavored meals with few ingredients. 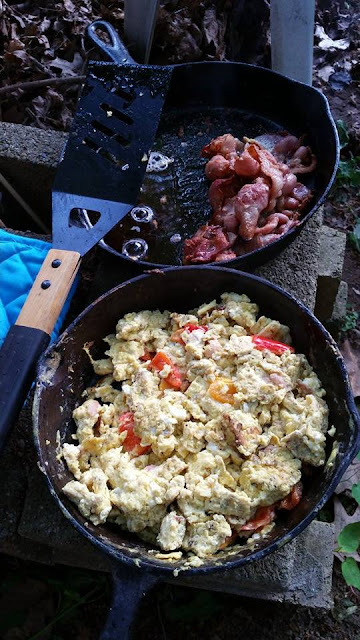 Scramble in a Cast Iron frying pan over the open campfire. I use a pot holder so my hand do not get burnt. Remember the cast iron pans get hot so also use proper utensils! We have a grilling set we use for any campfire cooking. 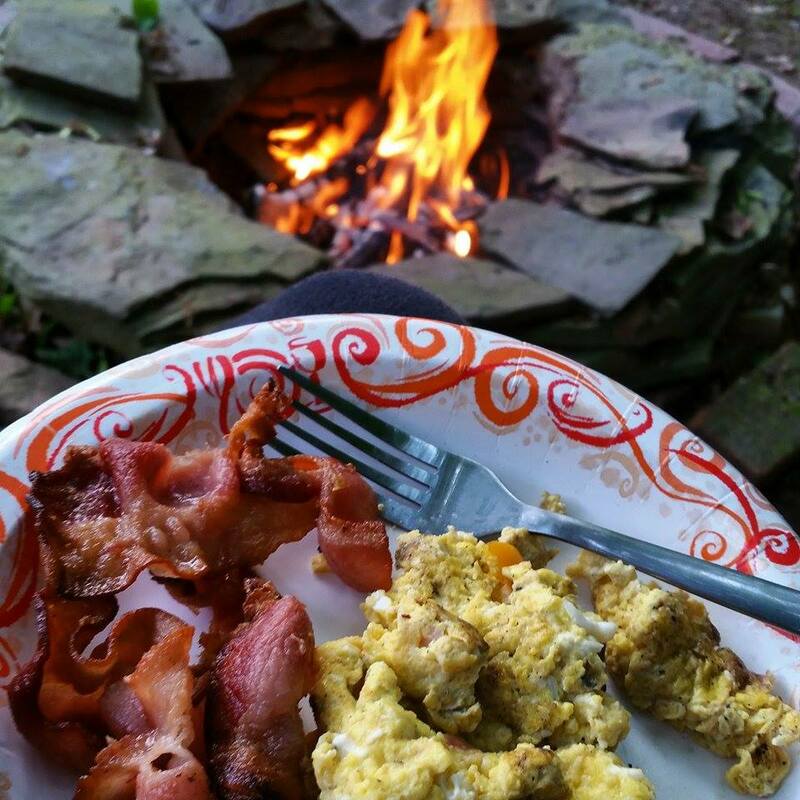 Nothing like pipping hot breakfast from a campfire! You should really try it, so Yummy! Yum....looks delish! 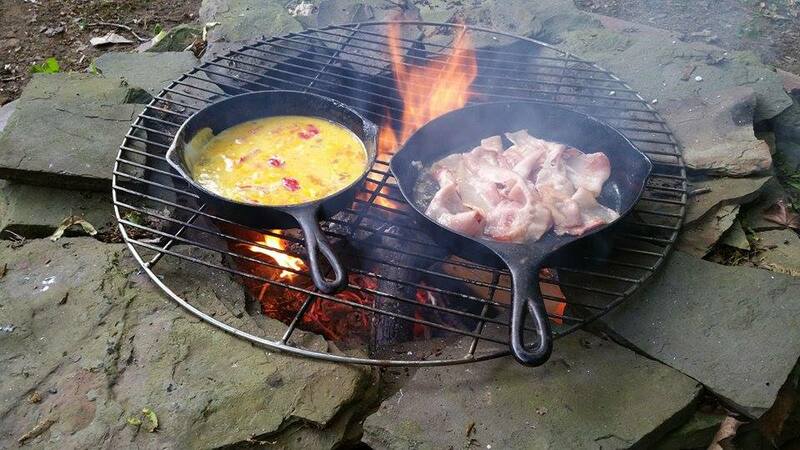 I haven't been camping in ages but when we did go, my favorite part was always the camp breakfast!